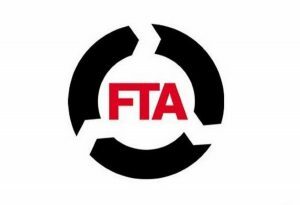 The Freight Transport Association (FTA) has announced the launch of a new roadworthiness programme for its members, which aims to significantly improve compliance among the nation's freight fleet operators. Two new audit initiatives are being rolled out by the body, which will help in efforts to raise the standard of fleets and ensure only those vehicles that are truly roadworthy are being made use of by firms. ASMR (Audit of Systems for Maintaining Roadworthiness) and AVMR (Audit of Vehicle Maintenance Records) are the new systems being introduced – with the former focusing on management processes to identify potential gaps in compliance and the latter examining issues within maintenance records, ranging from planning to defect rectification. FTA director of standards, audit and accreditation Sally Thornley said: "These new audits will help members to approach roadworthiness compliance from the top-down. "The systems audit will highlight gaps in management systems using the Plan, Do, Check, Act method, as well as looking at how the organisation would evidence its systems in the event of being involved in an incident." Ms Thornley added that both ASMR and AVMR will provide a welcome boost to roadworthiness standards across the industry, with a focus on ensuring FTA members are able to clearly identify their current areas of good practice and those that require improvement. Fuel Card Services also offers fleet operators a free, no obligation Compliance Health Check. This offers major cost savings, fewer road collisions and protected corporate reputation. It reveals how well a fleet complies with health and safety, duty of care and other relevant legal requirements, suggesting corrective action. The Compliance Health Check reviews existing processes, identifying any gaps in the driver safety policy, fleet safety audit trail, driver-specific risk assessment and document checking. It also checks management procedures for grey fleets, where employees drive their own vehicles on work-related journeys. There is no legal distinction between these vehicles and in-house company cars and vans, creating added liabilities for a business. Click here for your free, no obligation Compliance Health Check. Our no obligation Compliance Health Check is also being offered free to visitors at this years Fleet World Fleet Show on Wednesday 11th May 2016. For more information about the Fleet Show please click here.